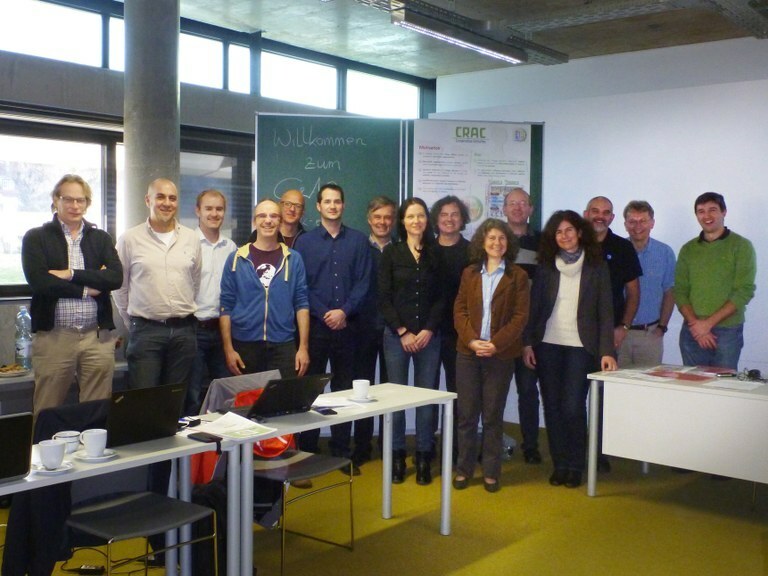 CrAc aims for the development of of interdisciplinary concepts allowing for dynamic, profile-based assignments of cooperative tasks to volunteers. 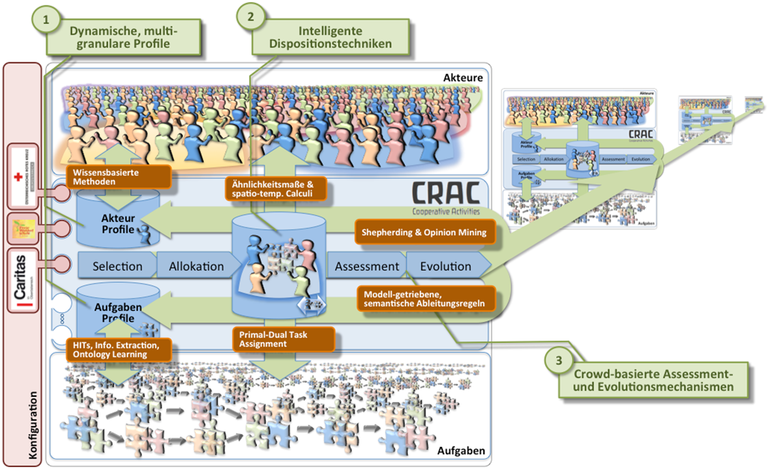 The main focus of CrAc is to adapt the and align the profiles of tasks and volunteers as well as the task assignments basing on a continuous assessment of the task fulfillment. These concepts will be developed as a prototype serves as a domain independent framework to gain a adequate, efficient and balanced task assignment for volunteers and fosters formerly passive volunteers to participate and fulfill tasks. You can found more information about the team on the partner site. For more information, please visit the funding page.